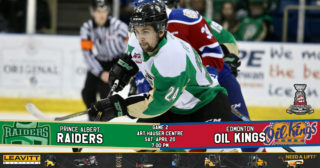 Prince Albert, SK – The Prince Albert Raiders (42-7-0-2) open a three-game road trip this week through Alberta. Last week, the Raiders split their weekend games in their return from their BC road trip. 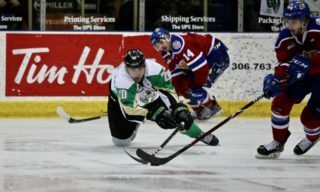 On Friday night, the Raiders fell 6-3 to the Edmonton Oil Kings. 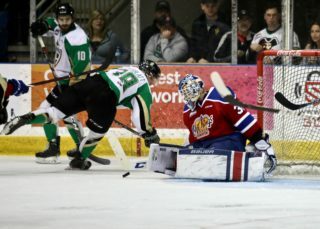 The team responded with a 4-3 victory over the Moose Jaw Warriors on Saturday. 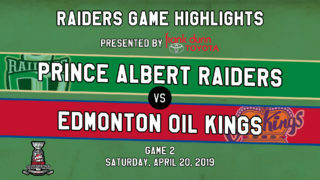 It’s a quick start to the week as the Raiders head to Edmonton for a rematch with the Oil Kings at Rogers Place (29-15-4-4) on Monday. The game was originally to be played on Wednesday night, but was rescheduled for Monday due to a scheduling conflict. 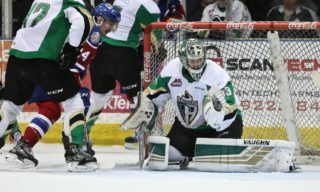 The Raiders then head to Calgary on Friday night to face off against the Hitmen (26-19-4-1) as part of the Corral Series at the Stampede Corral to close out the season series. The week wraps up with a trip to Lethbridge on Saturday night to square off with the Hurricanes (27-15-4-4) at the Enmax Centre. All three road games this week begin at 8 p.m. CST. Catch all of the games at The Rock and Iron Sports Bar at the Prince Albert Golf and Curling Club, or listen to Trevor Redden on 900 CKBI. The Raiders return home on Friday, February 15 for a game against the Brandon Wheat Kings. Tickets are available at the Raiders Office and raiderhockey.com. Discounted tickets are also available at Lake Country Co-op Marketplace in Cornerstone. Puck drop on the 15th is 7 p.m.